Do you believe you will be able to build a successful network marketing business? Do you believe anyone can build a successful business in the network marketing industry? This is something you need to think about. What you believe affects how successful you will be. It’s so important to have a strong belief. We become what we believe. Can you see yourself as a top income earner? Can you see yourself earning a living with your business? If you can’t see it and BELIEVE it, you will have a really tough time building a successful business. Picturing, visualizing success is one important way to start building belief. Constantly picturing yourself in the role of a successful high earning business owner. See it! Feel it! Listening to audios, reading books, reading emails from upline and attending company events will help to your belief grow. Visualize your success. Emotional Freedom Techniques (EFT) are a great way to way to help clear any limiting beliefs that block your success. You can also use the tapping to enhance visualization and affirmations. 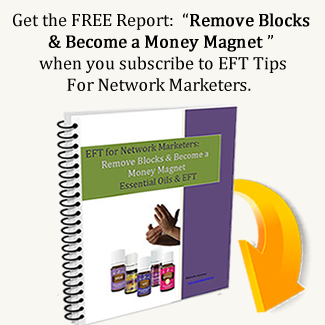 Just tap through the EFT points as you are visualizing your success or saying affirmations. 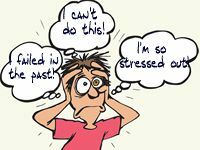 EFT is also great for releasing doubts and fears that get in the way of belief in your abilities. If you don’t have strong belief in these areas, you will not be able to succeed in your business. Another way to way to strengthen your belief is to do some EFT. You can tap the EFT points as you are visualizing your success. EFT is also great for releasing doubts and fears that get in the way of belief in your abilities. Young Living distributors will want to use one of the essential oil blends to enhance the process. 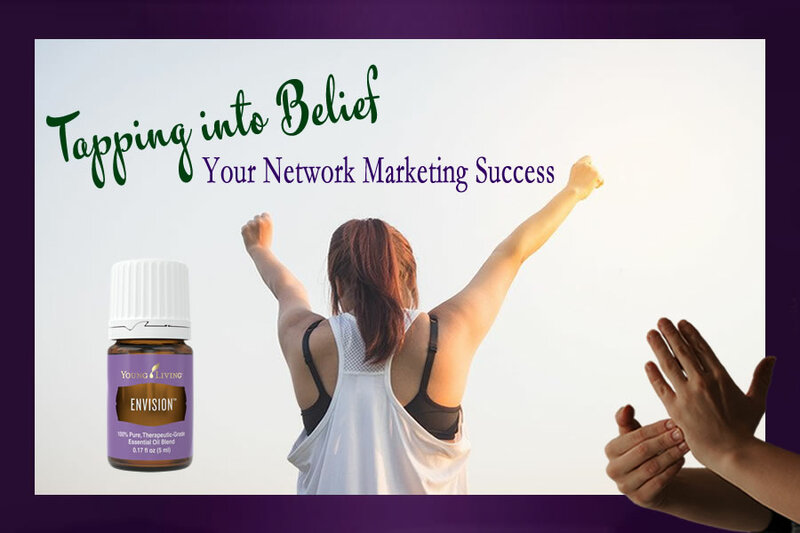 Young Living’s Envision or Believe essential oil blend are good ones but there are other oil blends that are good with this EFT session on belief are Abundance, Acceptance, Gathering, Release, Valor. Just add a couple drops of oil to your fingertips and start tapping through the points. You can add specific doubts and fears where you want in with the tapping script. You can also tap through several times if you need a little more clearing on the issue. Even though I’m having doubts about my success, I deeply and completely love and accept myself. Even though I have doubts I can be successful in network marketing, I choose to feel confident now. Even though my doubts are blocking my success, I’m willing to grow in confidence and belief. I have all these doubts about success. Can anyone be successful in network marketing? Can I be successful in this business? I have these doubts in my abilities. I’m full of doubts about network marketing. I see others having success but I don’t know if I can do it too. I love the products and I love sharing them. I know this is just a lack of confidence. I know there are ways to do this business that I can feel comfortable with. I choose to feel confident. I am moving forward in spite of my doubts. I release the emotional attachment to the belief that success is for other people but not for me. I can release all the doubts. I choose to release all these doubts. I am releasing the doubts. I am releasing all the doubts about network marketing. I am releasing all the doubts about my ability to attract customers and business builders. I am releasing all the doubts. I will let myself be full of confidence. I love releasing the doubts. I radiate confidence and belief. I choose to be full of passion and abundance. I love how confident I am feeling. I am so strong and confident, other people are noticing it. I radiate strong belief and confidence in myself, the network marketing industry and my awesome products. I love how I feel when I know I am attracting abundance. Every CELL in my body is full of magnetic ABUNDANCE. I am a confident and successful leader, full of belief and passion. You might need to tap through this a few times, especially if you have a deeply ingrained fear that success is for other people but not for you. Change up the words if you need to. Tap about whatever fear or negative feeling you have. Click here to ORDER essential oils TODAY!